Slow motion of soldier aiming his weapon. Standing up aiming their assault rifle down range. Portrait close up shot. Digital green camo. 4k00:11Special force soldiers in urban combat training. Breach and entry building. Chinese soldiers in full combat gear, green digital cammo. Modern combat and anti terrorist concept. hd00:18Slow motion of soldier aiming his assault rifle on grass. 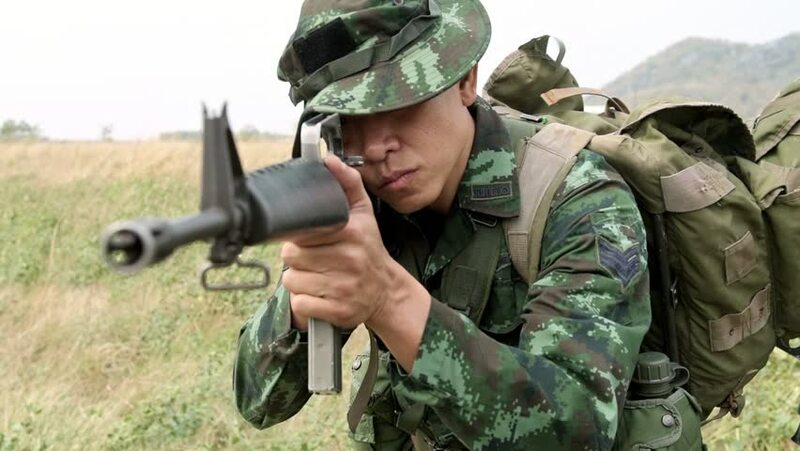 Chinese soldier on grass land aiming his weapon, special forces training. Ready to ambush terrorist. 4k00:10Soldiers walking and patrolling, ready to fire. Chinese army soldiers with green camouflage uniform in high grass tropical jungle walking. Modern warfare and combat concept.